On the latest episode of Called to Coach, we hosted Leisa Anslinger and Stephanie Moore, Co-Directors of Catholic Life and Faith. Leisa has been studying positive psychology since the early 1980s, but it wasn’t until 2005 that someone introduced her to the Clifton StrengthsFinder. The next year, when her parish embraced engagement initiatives, she became one of the first members of her parish to be trained as a Gallup-Certified Strengths Coach. Stephanie’s journey into strengths came during her corporate career. After witnessing the impact strengths had in a business setting, she looked for ways to incorporate strengths into her faith. These women first crossed paths at a conference in 2008, and although they lived on opposite sides of the country, they knew they could work together to make an impact on leaders of all faith denominations. As a true Power of 2, Leisa and Stephanie use their strengths to complement each other -- Stephanie handles the relationship-building realm and Leisa owns situations that call for strategic thinking. They said they spend a lot of time with parish leaders reinforcing the impact of strengths. These leaders gain a broad understanding of strengths-based teamwork, how it can be used to engage a church and how to incorporate strengths into the fabric of how the church operates. To hear more about Leisa and Stephanie and how they use strengths to engage church leaders and congregations, watch the full video above. Continue the coaching conversation at the Called to Coach Facebook page. It’s a great way to network with others who share your passion for strengths. Leisa Anslinger brings extensive experience in parishes and schools to her ministry as an author and speaker. She is the Co-Director of Catholic Life and Faith, a center for pastoral leadership development. 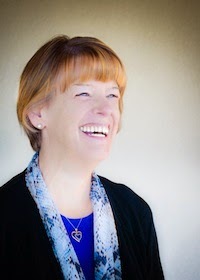 Leisa is the author of numerous books and e-resources for catechesis and stewardship. 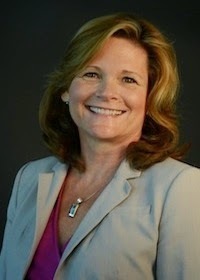 Leisa’s top five strengths: Ideation | Input | Futuristic | Connectedness | Arranger. Stephanie brings her passion and years of leadership, facilitation and speaking experience to helping faith leaders build vibrant and engaged communities. She has worked in the area of engagement, stewardship and gifts discernment for more than 10 years and built her practical experience as the Director of Engagement and Stewardship for St. Anne Parish in Byron, California. Stephanie’s top five strengths: Maximizer | Relator | Individualization | Adaptability | Connectedness.